"She's with me now, so move on." This one is for all the short guys out there. This film already hit theaters in France and the UK earlier in the summer, but I just came across this trailer now and it's quirky and – yes – quite charming. 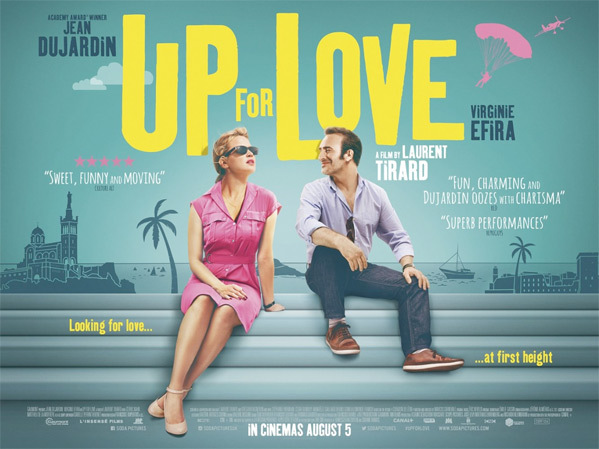 The film is titled (in English) Up for Love, which is a fun title because it's about a beautiful women who meets a guy she likes but it turns out he's only 4'6" tall. She has to fight against the "prejudices of society and her own fears" in this very French romantic comedy. 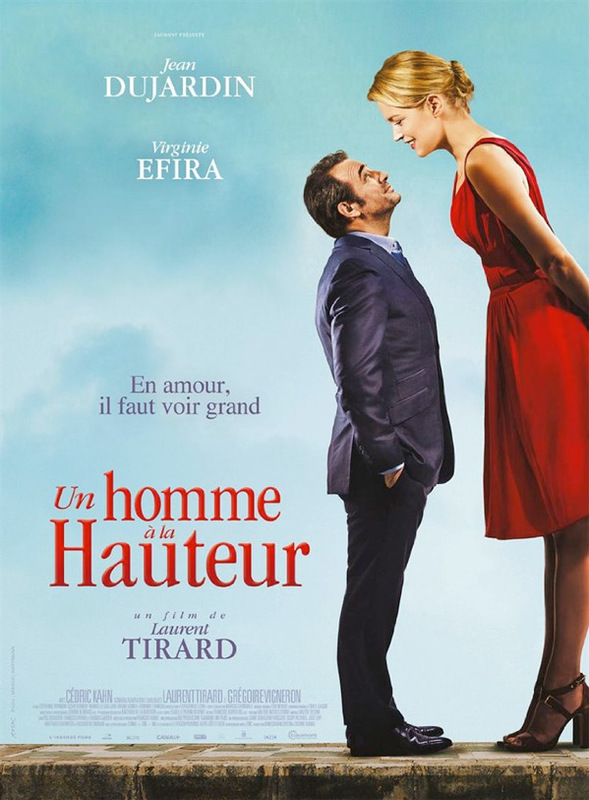 Jean Dujardin stars as the lil' guy, named Alexandre, and Virginie Efira stars as Diane. The cast includes Cédric Kahn, Stéphanie Papanian, César Domboy and Edmonde Franchi. This is definitely a bit cheesy, I will admit, but it still looks fun. In real life, Jean Dujardin is 6' tall, so there must be some digital trickery going on. Take a look. Diane is a well-known lawyer, divorced for three years. She loses her mobile telephone and receives a call from the person who finds it. That person is Alexandre, a charming man and the perfect gentleman. They make a connection over the phone and agree to meet up the following day. But when Alexandre arrives, there's a surprise in store when Diane discovers he is only 4'6" tall. From that moment on, Diane tries to overcome the prejudices of society and her own fears to experience the best time of her life… Up for Love, originally Un homme à la hauteur, is directed by French filmmaker Laurent Tirard, of Little Nicholas, The Story of My Life and Astérix and Obélix: God Save Britannia previously. The screenplay is written by Laurent Tirard & Grégoire Vigneron, remaking a 2013 Spanish film called Corazón de león about the same story. The film played at the Seattle Film Festival but doesn't actually have a US release date yet. Interested? True love can overcome these prejudice of course. But it's hard for a woman to love a man who is shorter than her. I am just repeating what many women have told me. so don't shoot. ;D Women are venal creatures. Save few. Come on Bo. I thought you have a lot of experience in life... ;D Women have a serious issue with money. Maybe it's a need to feel secure. Probably. This looks cute and quirky. I kind of get a SHALLOW HAL vibe from it.